To accept Hashem as a melech and coronate Him on Rosh Hashana, one must first realize the kingdom that lies within himself. 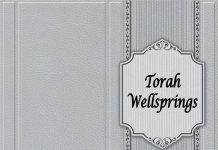 Rav Tzadok from Lublin writes that every person has a uniqueness above the entire world even it be in only one aspect. In this respect he is deemed a king and his kingdom is to actualize that potential that cannot be duplicated by anyone else. One’s kingship reflects the spirituality that one must reveal in this world. Upon fulfillment of this revelation, he thereby brings about the revelation of Hashem’s Kingdom in the universe. If one does not realize his own potential greatness that lies with in himself, then he cannot fully grasp the kingship of Hashem as well. United and untied share the same letters. The only difference is where the I is placed. Now at first this piece of wit might be a bit confusing. For if we closely at the spelling of these two words we will find that in the word united the I is first and in untied the I is later. This creates a difficulty in understanding the message. If one precedes his I before everybody then consequently that should create a state of untied rather than united? Similarly if one places his I last then that should foster a united situation and not the opposite untied? It seems that the answer is that if one feels that he or she has nothing to contribute during his stay in the world and does not feel his one of a kind kingdom, then he thereby creates a state of untied. One can only connect to others if they contribute their talents and uniqueness in what ever area it may20be. Only when one realizes the significance of his I can he become united with others as each donates his strengths to the reservoir of Klal Yisrael. I once heard a story of a Rav giving a Shabbos afternoon derasha in a hotel during the summer on the front lawn which was well attended. He spoke about the uniqueness of each individual and how each person no matter whom he is has a special mission in this world that no one else can accomplish. After he finished his lecture he asked for questions. In the audience was a Down syndrome child whom his parents brought to the shiur. He also raised his hand and was called whereupon he asked the Rav that he would like to know what his unique mission in life was. Immediately there was a hush silence. It was clearly visible that the Rav and the audience were having a difficult time with this question. As time passed the intensity seemed to worsen and become unbearable. Some of men people began to sniffle and women were taking out tissues to wipe away the tears from their eyes because of their choked up emotions. It was then that the Rav got his composure back and addressed the questionnaire with his answer, Yes you too have a unique mission. You obviously bring to people a greater appre ciation of one’s well being and sensitivity towards those who unfortunately were not blessed with the same. Only you can accomplish such a feat. You might not recall but about ten years ago one of the popular nigunim was ana avdah dekudehsa berich hu. 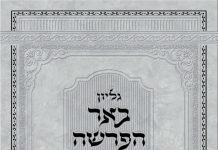 Believe it or not someone asked the Manchester Rav ztl that the niggun should not be sung because it goes by singing the word ana which means I, three times while avda dekudahsha beerich hu [servant of Hashem] is sung but only once. The mashgiach replied that if you do not fully realize the I, then you cannot become a servant to Hashem. I wish all my readers a Kesivah Vechasima Tova, May you have a gebenched year of gezunt nachas parnassa and a shefa of ruchniyus that will make you courageous enough to make changes in your lives for the better by realizing the incredible treasure of unique kochos you carry within yourselves.